If you haven’t been able to reach your particular weight loss goals by yourself, it might be a good idea to work with a weight doctor. Our Doctors Weight Loss Clinic is equipped with an experienced specialist who is able to provide personalized treatment that will allow you to lose those unwanted pounds in a safe and steady manner*. 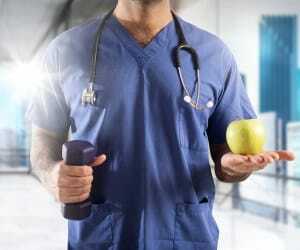 Look no further than Dr. Urshan’s Health and Weight Loss Clinic, if you are seeking a competent, experienced weight doctor from a clinic that has a reputation of supplying affordable and effective treatment. Our clinic uses a proprietary weight loss technology which allows us to devise a personalized plan that can help you to shed unwanted weight without going on a crazy crash diet, getting shots or taking questionable pills. One reason why this weight loss clinic is particularly successful is that it can assist a patient in finding out the root cause of why she or he is overweight. By determining the main reasons why you are heavier than you should be, a weight loss doctor is able to create an effective plan to help you lose your excess weight and keep it off for the long run*. For a weight doctor that can truly help you gain control of your health and lifestyle, contact Dr. Urshan today. We are proud to serve St. Petersburg, Clearwater and neighboring cities!